Manor Court County Primary School, Chard, Somerset. The pupils were studying the work of Andy Goldsworthy and wanted to pay tribute to him. 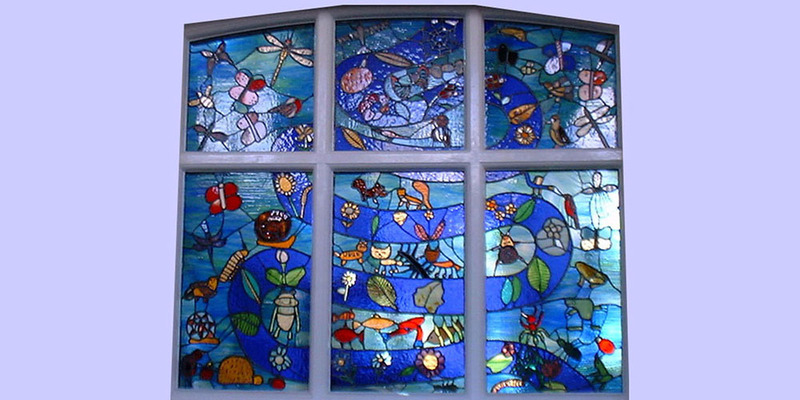 This window incorporates his almost trademark serpentine line and is full of the children’s pictures of the natural world around the school from snails to centipedes.